In 2019, we live, as Dragon Quest fans (presumably, reader, you are a Dragon Quest fan or at least a curious party), in a boom period. It’s a time of international growth for one of Japan’s most historic series. Dragon Quest XI, which has received the closest thing to red carpet treatment the property can get in North America, has seen its best western debut and reached over four million sales so far. Dragon Quest came to PC as well, and a movie was even recently announced in Japan. It’s also being re-released on the Nintendo Switch with some exciting, new features. Meanwhile, a new sub-series in Dragon Quest Builders appears to be doing well, and the series also saw a couple of successful Musou titles. While we’re seeing a lot of growth and success for the series now, an important and wonderful part of Dragon Quest history was nearly lost along the way. But it’s coming back, and if that comeback lands in the right spot (the PS4, and probably the Switch along with it), now is the perfect time for that comeback to work. I’m talking about Dragon Quest Monsters. In the early days of Dragon Quest, the series introduced a way to recruit the series’ famous creatures to fight for you in your party. This was limited in the core series, but eventually a Game Boy game (released in the west as Dragon Warrior Monsters) took that concept and turned it into its own game. This was the era of Pokémon being huge and stuff (it’s still huge, but you know), and it seemed to do well, or at least well enough for a sequel. (Note: sales data on the series in the west is not easily available, and I was forced to reference fan wikis and vgchartz, which need to be taken with a grain of salt.) Anyway, these two (technically three) Game Boy titles were in my mind great, with distinct mechanics that set them apart from Pokémon. Mostly, a focus on breeding and constantly changing your monsters into other monsters, makes the approach and party-building mindset very different. 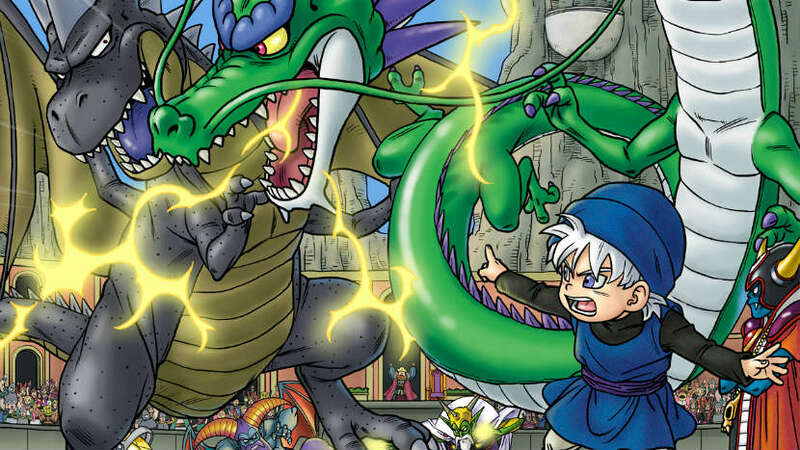 After the Game Boy, the Dragon Quest Monsters series continued, but only in Japan. A Game Boy Advance title was released, but never localized. 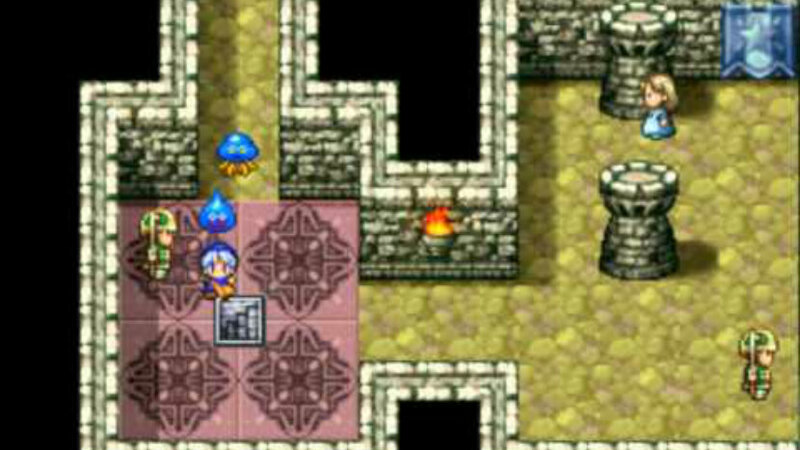 Due to factors such as the length of time that went into getting Dragon Quest (or Warrior) VII out, Enix would start the 2000s in trouble, and there were multiple casualties such as PlayStation ports of the Dragon Quest Monsters Game Boy titles and a PlayStation port of Dragon Quest IV in addition to the GBA title. This would, as we all know, lead to the Squaresoft merger. Basically, we can owe the existence of Square Enix to Dragon Quest VII and Final Fantasy: The Spirits Within. The Square Enix merger led to titles on the PlayStation 2 and Nintendo DS. Dragon Quest VIII was the biggest success for the series in the west to that point, with Square Enix notably bundling a Final Fantasy XII demo at launch. The release after that was the return of the Monsters series with Dragon Quest Monsters: Joker on the Nintendo DS. Joker saw a sequel that was also localized, and several other Dragon Quest-adjacent titles followed. While Dragon Quest VIII did well, each release after that performed much more poorly, each selling less than the last (taking vgchartz at face value). It’s hard to say, at first, what happened with the series. At some point, Square Enix lost confidence in Dragon Quest in the west, and marketing efforts seriously declined. In fact, by the time Dragon Quest VI and Dragon Quest IX released, Nintendo actually took up the responsibility of publishing. Several games weren’t localized, including multiple Monsters releases for the Nintendo 3DS. This was a dark period for Dragon Quest in the west, punctuated with Dragon Quest X being a MMO with no hope whatsoever of localization. Monsters in particular seemed to be the greatest casualty, with no release in Japan since 2016. We haven’t seen a new Dragon Quest Monsters since Joker 3 on the 3DS, which didn’t do super well even in Japan. It opened strongly-ish at 300,000 sales but never seemed to crack one million. The quality of that subseries is debatable overall, but it seems to have all but sunk the brand. A few factors, including the debatable quality of the Joker series, Dragon Quest as a whole struggling in the west, and economic realities in the industry in Japan itself led to Dragon Quest Monsters taking a nap. But things are very different now, and it’s the perfect time to try again. And that’s exactly what happened. 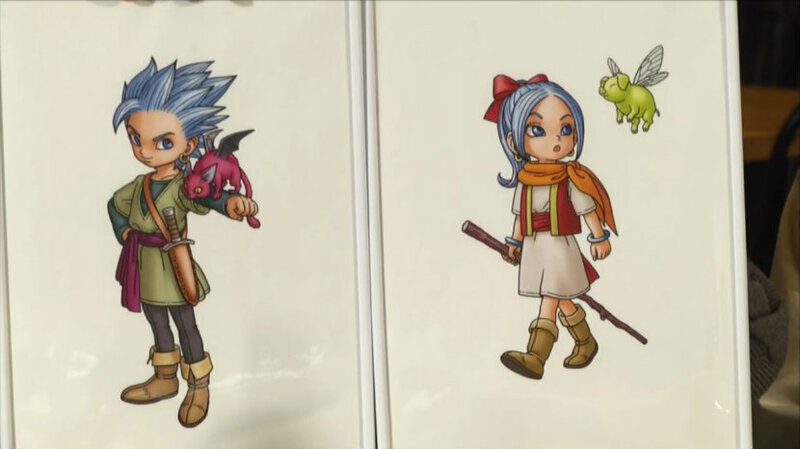 During a 20th anniversary stream for the series, Square Enix revealed a new Dragon Quest Monsters game will be coming to consoles (it’s important to note, which consoles have not been disclosed), starring Erik from Dragon Quest XI. It’s the perfect time to make a new one, and localize it. North American audiences have become much more aware of the series after XI, and seem to have embraced it. NPD has stated that was the biggest launch of the series in the west to date. Part of that goes beyond just the series, as games from Japan in general have seen a wider comeback in the west, due to the wild success of the PlayStation 4. Due to a decline of console sales in Japan in parallel to that, we’ve seen a lot more games localized for Western audiences that never would have in the previous generation, or even in the earlier days of this generation. The Nintendo Switch has also been a big factor in Japanese game sales on the rise compared to before in a global sense. We’ve seen Digimon make a reasonable comeback, for goodness’ sake. If a brand new Dragon Quest Monsters game launched simultaneously for the PlayStation 4 and the Nintendo Switch, it’s practically guaranteed (assuming the game is good) to be a success. That’s especially true compared to the numbers previous entries in the series saw. It could be risky considering that there are other Dragon Quest spinoff series active now, and you never want to take something as niche as Dragon Quest and put too much of it out there at once. It’s better for fans, as parts of a greater fanbase, to probably focus on one game at a time, i.e. Dragon Quest Builders 2. However, now is also the perfect time for a new entry to do well. By “now,” I mean the current climate or ecosystem of gaming, not necessarily “now” as in Current Year. More localizations are happening across the board, and those localizations are performing better internationally than they ever had a chance to before. 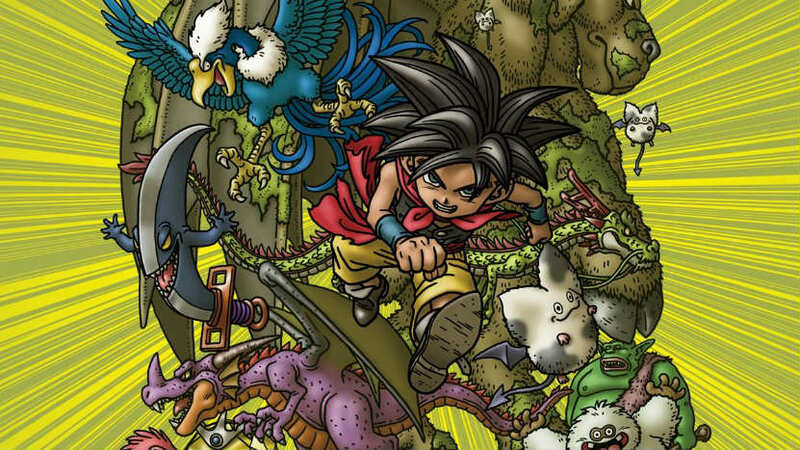 Dragon Quest Monsters, despite some of its rough edges, is one of the greatest monster collecting games this side of what Game Freak is generally up to. Other series in this space have come and gone, such as Jade Cocoon, Monster Rancher, DemiKids, so on and so forth. But Dragon Quest Monsters survived all the way up to the 3DS, and only fizzled for reasons that aren’t really problems anymore. I live in a timeline that includes Digimon Story: Cyber Sleuth, which I love more than most Pokémon games. That game made me seek out more monster collecting games to look at the space as a whole, and as a huge dork for Dragon Quest, it makes me sad that there isn’t yet a contemporary version. At the same time, knowing there’s one on the horizon fills me with hope. And I think, based on the current state of the industry and where we are with “import” games, that the new one targeting PS4 and Switch would make good on the missed opportunities of the previous generation.